Online submission of application forms for admission in the following Regular / Self –financing Post Graduate, Under Graduate, P.G. 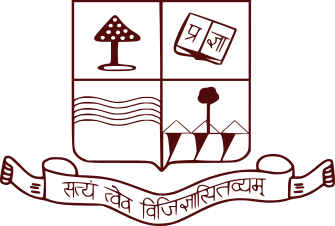 Diploma and Certificate Programmes of the different units of Patna University will begin from April 2nd, 2019. The appearing candidates may apply for admission in such courses where admission is based on Entrance Test but they must submit the copy of the mark sheet of the previous result before the finalisation of selection list for admission failing which their candidature will not be considered for admission. Mark sheet is mandatory in such courses where admission is based on the marks obtained by the candidates in the previous examinations. The last date of online submission of application form is May 15th, 2019. For further details visit Patna University Website: www.patnauniversity.ac.in. P.G. Diploma in Clinical Psychology, Applied Criminology, Human Resource Development, Industrial Safety Management, Computer Applications, Women & Child Welfare, Women's Studies, Yogic Sciences, Remote Sensing and GIS. B.Com. Hons. (MMC for Girls only), Bachelor in Library & Information Science, B.Sc. in Computer Applications, B.A. in Computer Applications, Bachelor in Business Administration, Bachelor in Mass Communication, Bachelor in Social Work, Bachelor in Biotechnology, Bachelor in Functional English, Bachelor in Environmental Science.